There are rooftop bars, and there are bars at the roof of the world. At South Africa’s Sani Mountain Lodge, you can enjoy a beer or even spend the night in the sky, often above cloud level. 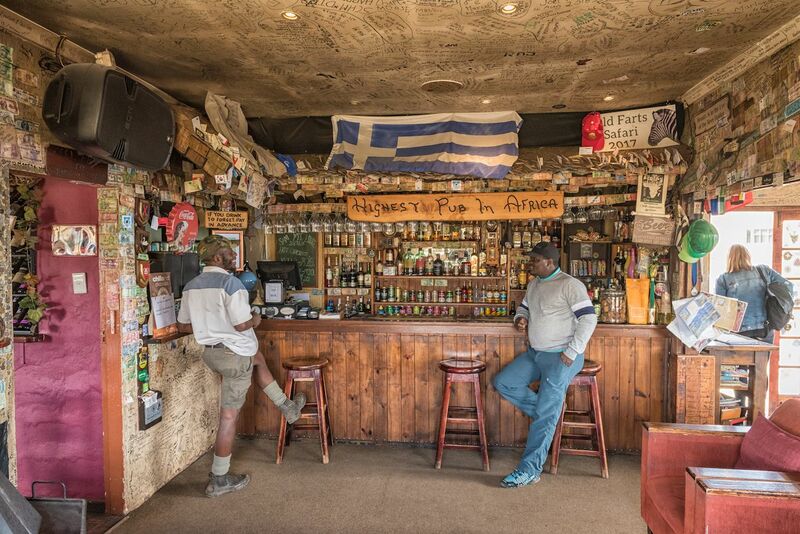 With an elevation of 9,429 feet (2,874 meters) on top of Sani Mountain Pass, this bar is the highest pub in Africa, and it’s nothing short of an epic imbibing experience. It’s quite the trek to get there, but once you do, you’ll have one of the most well-deserved drinks of your life, looking down at the pass you came from and itching to get out and explore more of the terrain. That said, the elevation isn’t the only cool thing about the bar. You’re drinking in two countries at once. Yes, it’s true. 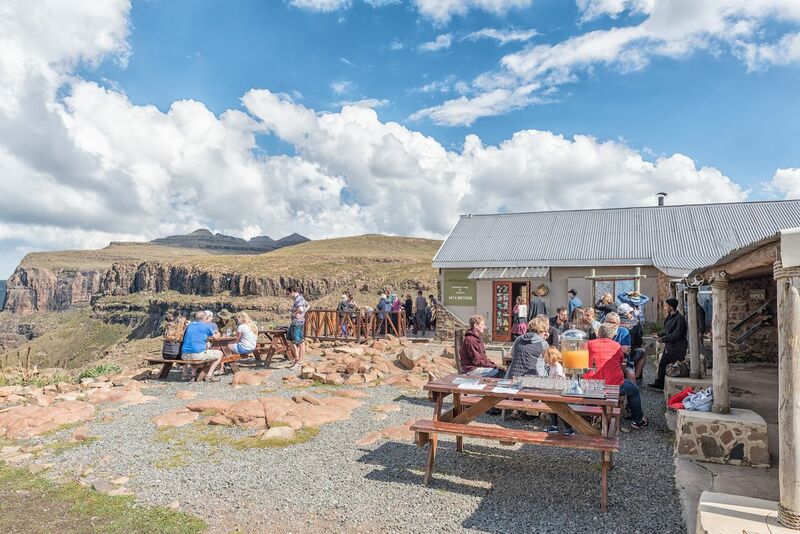 Beyond being a cool place to hang out, the top of Sani Mountain Pass holds a unique distinction: It marks the Eastern border crossing between South Africa and Lesotho, the tiny country within a country that sits entirely within South Africa’s borders. 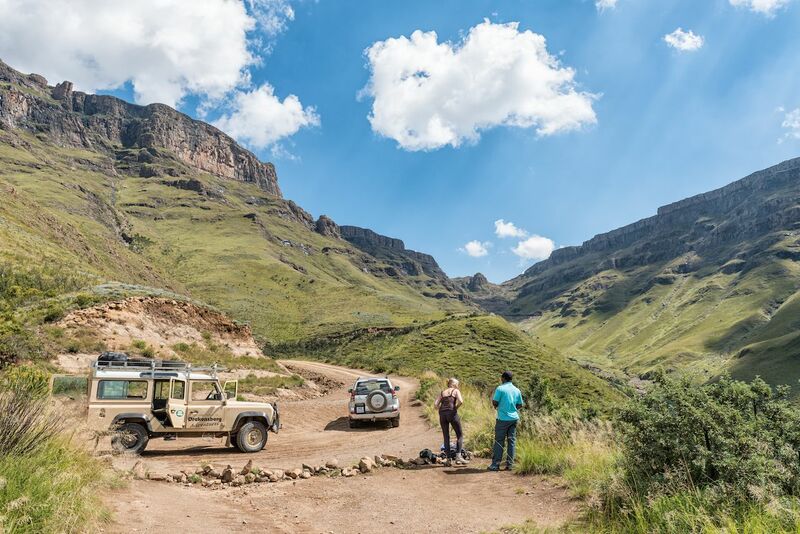 The Drakensberg Range runs this leg of the border, home to Basotho shepherds and the legendary (and endangered) bearded vulture. The pass running between the countries was originally built in the early-1900s as a trade and bridal route traversed by pack mules and their human companions. The designers of the lodge capitalized on this fact by building the pub right on the border, giving you the chance to sip your brew with feet in both countries at the same time. It’s kind of like the Four Corners in the southwestern US but for adventurous boozehounds, and it’s sure to cause a bit of a panic on social media — which country do you check-in to? You check-in to the sky. As you and your crew work down your cocktails and plan the next day’s mountain adventures, you may notice the air around you getting a bit hazy and moist. When the clouds move in, they might actually surround the lodge itself instead of hanging overhead. Here, you’re quite literally above the clouds. Because of this, however, it’s highly advisable to drink in moderation. If you’ve ever knocked back a couple drinks on a ski trip, you’re likely familiar with the effects of high-altitude drinking. In short, what it takes to get a buzz at sea level is basically cut in half by the time you reach 10,000 feet. Even seasoned drinkers may find themselves a bit woozy after just one drink at the Sani Mountain Lodge. But at least you’ll be well satiated; the lodge has a chef that prepares hearty high-altitude meals — think mountain sausages and lamb stew — in the pub to keep you grounded. While you’re there, you can get out and enjoy the mountains. The pub is only one of the experiences available at the Sani Mountain Lodge and across the pass. The location provides easy access to just about any mountain activity, including hiking, mountain biking, 4×4 trails, horseback riding, and, when snow covers the pass, plenty of powder to keep backcountry skiers and snowboarders busy. Spend the night in one of the onsite rondavels, round huts that each have a bathroom and fireplace, a nice perk as driving your four-wheeler down the pass after drinking at nearly 10,000 feet is a disaster waiting to happen. If organized tours are your thing, the lodge takes care of the planning and execution — you just have to let them know what you want to do. On the South African side, the nearest town to the pass is Himeville, which you’ll pass through coming from Johannesburg or Durban. From Johannesburg, head south on the N3 highway. 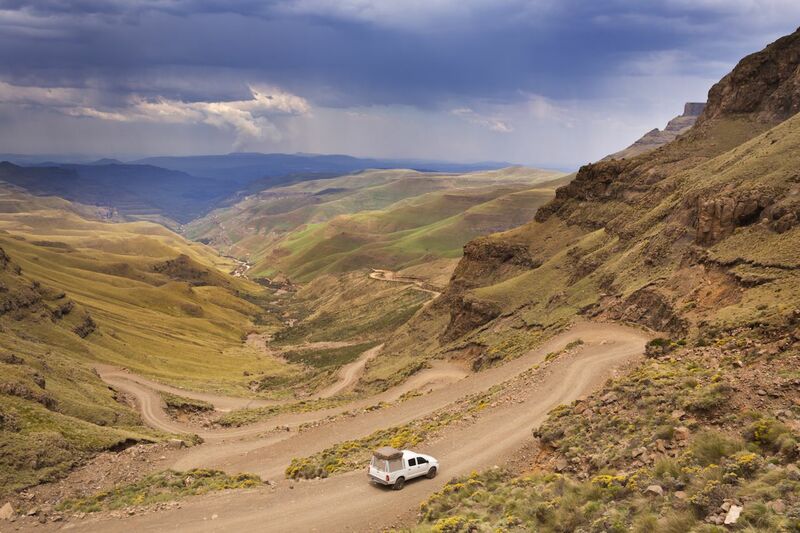 Take exit 143 and head onto Lower Natheni Road toward Sani Pass Road, famed for its hairpin turns. Remember, you’re going to need a 4×4 vehicle to drive the pass throughout most of the year; these can be rented in Johannesburg. The drive takes about eight hours. From Durban, head north on the N3 highway to R617 towards Sani Pass Road in Underberg. The drive takes approximately four hours, and you can rent a 4×4 at the airport.